The main purpose of the Section Builder is to calculate the various section properties of your section. The standard results refer to the results of a section when ignoring material property differences. 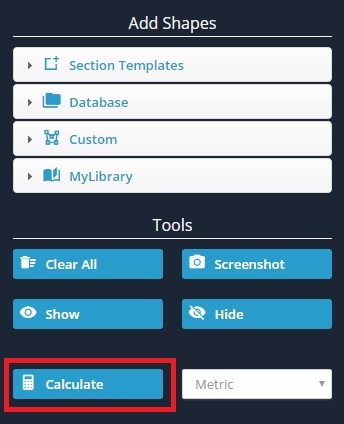 When you've finished building your section, simply click 'Calculate' to determine the section properties. 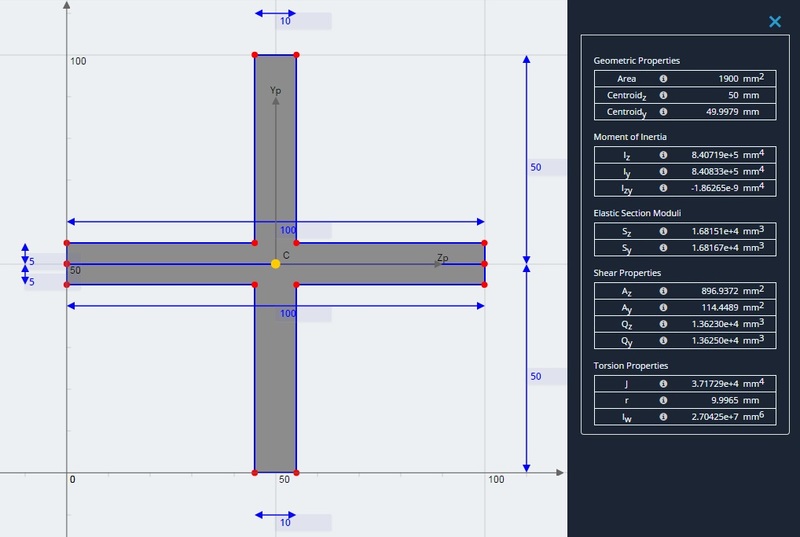 Note that the short wait time associated with each calculate is due to the Finite Element and Meshing that occurs in the background in order to solve for torsion constant, torsion radius, and warping constant. By using a FEA method to calculate these properties, a higher accuracy is achieved. Less robust programs only use approximate equations on the standard sections for these properties and fail to solve when a non standard section (such as the cross beam below) is entered. The results are generally broken down into 4 main categories.